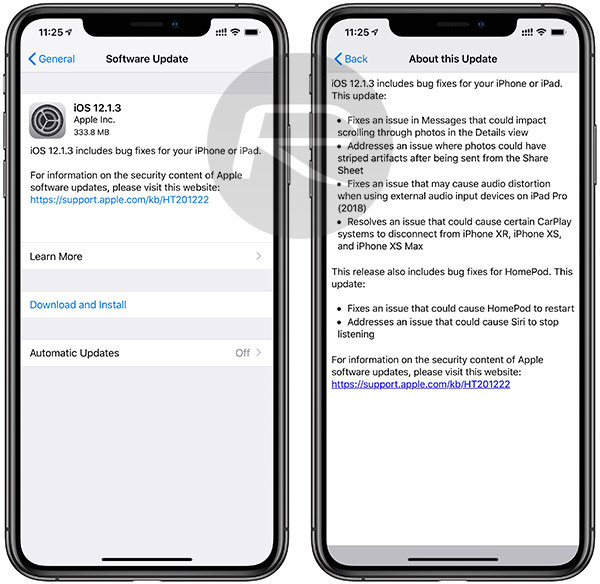 You can now download iOS 12.1.3 final IPSW links and over-the-air OTA update for iPhone X, XS Max, XS, XR, and other iPhone models. Apple has been churning through software updates recently for its iPhone and iPad hardware. Partly due to the fact that bugs have been discovered. Partly due to the court rulings in specific countries that stipulate changes must be made to comply with said rulings, and partly down to the fact that the Cupertino-based company consistently looks to update its devices with firmware patches containing improvement, fixes, and the latest security updates. After a period of internal and external developer testing, starting before Christmas and lasting over the festive period and into the New Year, Apple now deems iOS 12.1.3 ready for public consumption and has flipped the release switch accordingly. What’s particularly interesting about iOS 12.1.3 is that it actually contains some of the fixes and under-the-hood improvements that were originally destined for Apple’s iOS 12.1.2 release. However, as we already know, iOS 12.1.2 was expedited and thrust into the hands of users ahead of schedule in order to comply with a Chinese courts ruling pertaining to a Qualcomm Inc. complaint about alleged patent infringements. 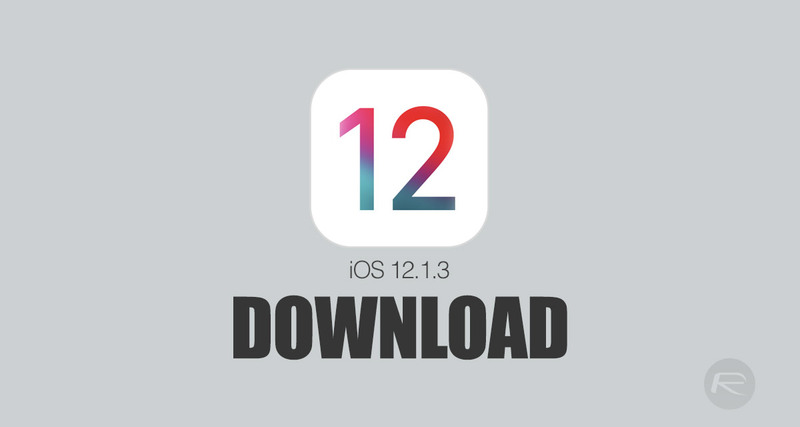 Now, with all of that in the past, and with Apple complying in its opinion with the ruling, iOS 12.1.3 is here with the usual bug fixes and generic enhancements that we would expect from a point release of this nature. As far as iOS 12 goes, iOS 12.1.3 is the fourth update to the latest major iteration of the iOS platform and will likely pave the for Apple to introduce iOS 12.2 into the development and testing communities. Those with a compatible iPhone, iPad, or iPod touch can grab this latest Apple iOS release right now. It can be downloaded as an over-the-air update directly from the device itself (Settings > General > Software Update) or as a direct IPSW download for those who prefer to have slightly more control over the new installation. The latter, of course, will require the latest version of iTunes and going through the process of manually installing to the device for a fresh installation of iOS 12.1.3.